Cézanne made many paintings of Mont Sainte-Victoire. 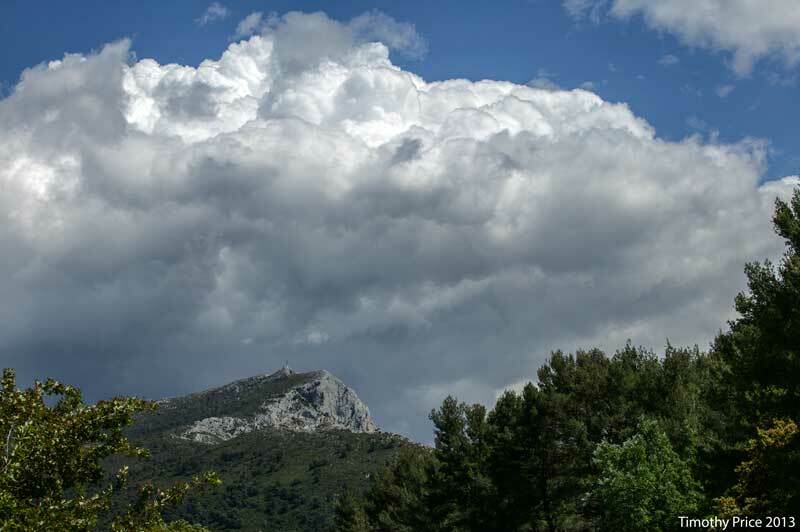 Some people think that was rather strange, but Like the Sandias, depending on the light and perspective, Mont Sainte-Victoire is never the same. Interesting comparisons, plus nice pics. Hi Erica! 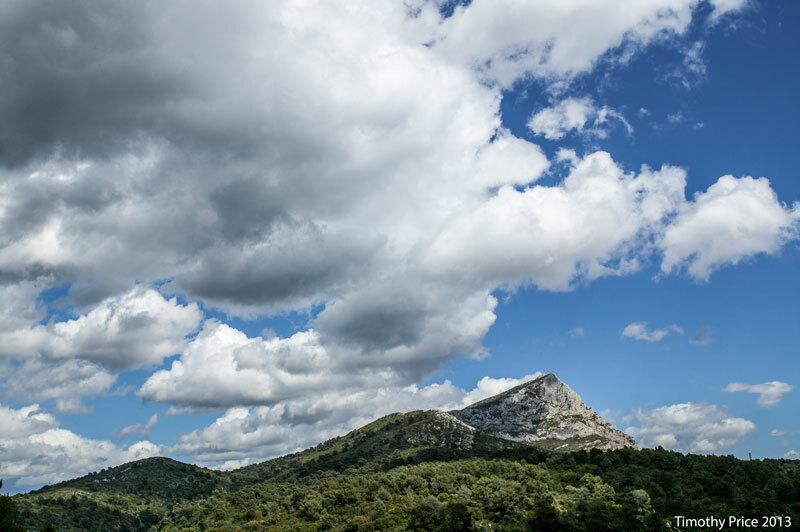 There is a Cross on top of Mont Sainte-Victoire. 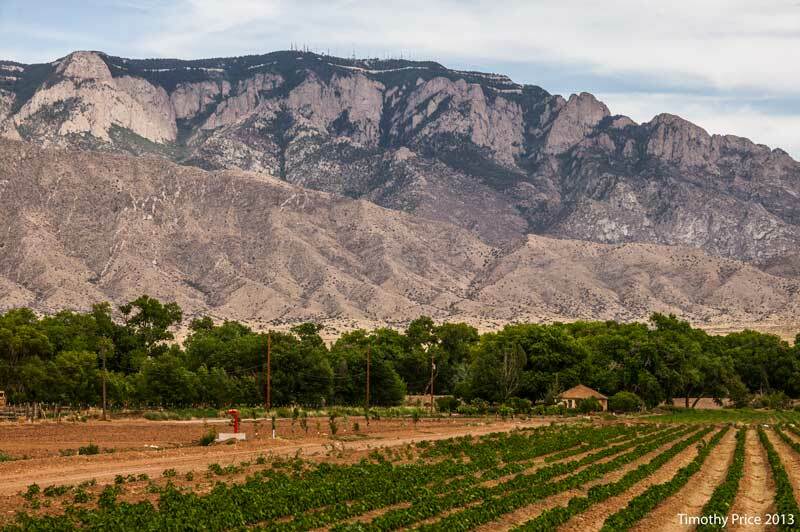 The Sandias have radio and cell towers on its crest. So I did see something! Were you ever on top of that mountain? No! I don’t look for a road to the top, and didn’t have time to climb to the top. So you’ve never been to the top. Maybe in the future? Is it nearby your house this mountain? I have been to the top of the Sandias (photos 2, 4 and 6) many times by driving, riding a bike, the Sandia Peak Tramway and hiking. These are two totally different mountains. 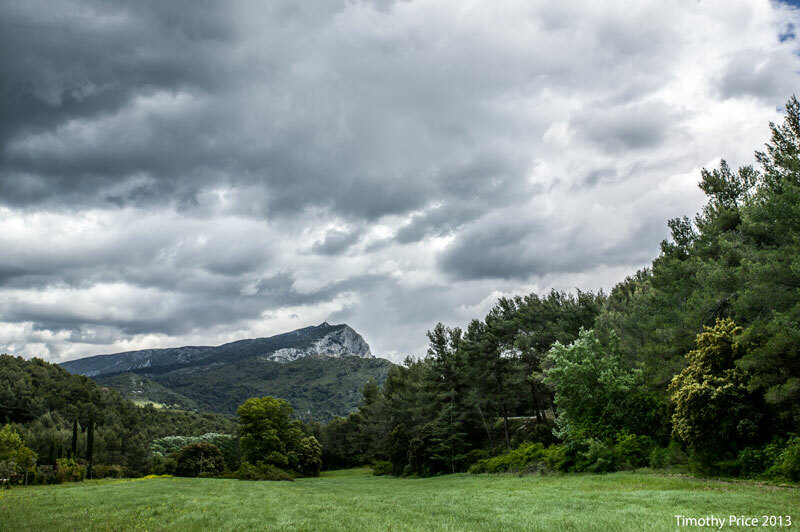 Mont Saint-Victoire is just east of Aix en Provence, France, and the Sandias are east of where we live. I was making a comparison between the to mountain ranges because Cézanne painted Mont Saint-Victoire many times, and I have hundreds of photos of the Sandias.